Congratulations to Oregon for becoming the first state in the nation to designate an official state microbe. Wisconsin and Hawaii both dropped the micro-ball on this one (see "Oregon, Hawaii May Name Official State Microbes" (April 10, 2013) and "Bill Would Designate Bacterium as Wisconsin's Official State Microbe," (Dec. 17, 2009), and so with the passage of House Concurrent Resolution 12 on May 29, Oregon wins the race, such as it was. 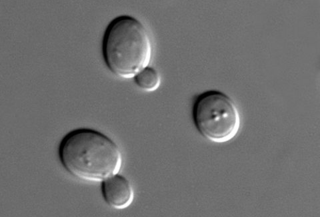 Oregon's official microbe is now Saccharomyces cerevisia, also known as "brewer's yeast." As one witness at the committee hearing put it, "[t]his great little microbe is probably responsible for the civilization of mankind," given that there is some evidence that grain was first domesticated (and fermented with yeast) so humans could get drunk, not so they could feed themselves. Hawaii's candidate, Flavobacterium akiainvivens, is native to Hawaii but doesn't seem to do anything except live on the akia shrub, hence the Latin name that I believe translates to "Flavobacterium that lives on the akia shrub." Given that F. akiainvivens was isolated from decaying passion fruit on Oahu, is described as forming "two- to three-millimeter diameter colonies that range from cream to off-white in color and wet to mucoid in viscosity," and is part of a genus of bacteria best-known for causing various fish diseases, I think we can hazard a guess at why it doesn't seem to have generated too much enthusiasm. Be that as it may, congratulations to Oregon, its official microbe, and not coincidentally, the craft-brewing industry that strongly supported the measure.